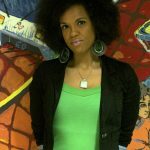 This week we are rebroadcasting an interview that William and Disembodied Voice conducted with Walidah Imarisha, who is an Oregon based writer, educator, public scholar and spoken word artist about her book Angels With Dirty Faces: Three Stories of Crime, Prison, and Redemption, her 2016 book out from AK Press and IAS, which highlights three distinct experiences that are all in different degrees tangential to the realities inherent to the prison industrial complex. This book won the Creative Non-Fiction Award in the state of Oregon earlier on in 2017. 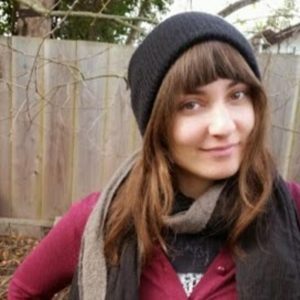 In this interview we got to touch on a wide array of topics, mostly centered on Angels With Dirty Faces but also on accountability processes and what might have to change in order for them to feel more effective, her relationship to anarchism, and some upcoming projects and appearances. We also get to touch on the book Octavia’s Brood, a compilation of speculative fiction that Imarisha co-edited with Adrienne Maree Brown, who also wrote the book Emergent Strategy. “1. Are you an anarchist (or other leftist anti-capitalist anti-authoritarian)? 2. Are you a mental health provider (psychotherapist, counselor, peer specialist, or psychopharm prescriber)? 3. 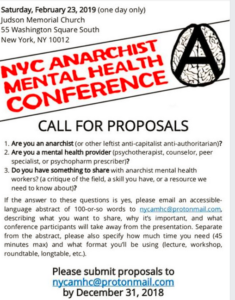 Do you have something to share with anarchist mental health workers? (a critique of the field, a skill you have, or a resource we need to know about)? Thanks to everyone who reached out to us about the interview about anarchist mental health, your comments and feedback were truly wonderful to hear! Keep an eye out for further interviews with Mango and Marin, on this and other anarchist and anti authoritarian media platforms. We also would like to report on a very concerning and terrible event which took place recently. For the second time this month, someone connected with the James T. Vaughn prison uprising trials has died. The remaining prisoners are still facing charges associated with the riot. Kelly Gibbs, the man who passed, was not a defendant in the first trial, but his name was mentioned during that time in connection with the uprising. The implications of these two deaths are all too apparent; prison workers and wardens often take matters into their own hands in retaliation for acts of prison rebellion. Now it’s important to support the Vaughn uprising! We will link to an updated flyer that includes all the names and addresses of the remaining people, as well as to articles for further reading. 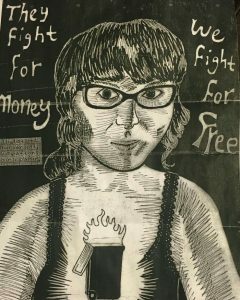 Here is an updated resource on the Vaughn prisoners and how to support. Here is an article on the recent passing of Kelly Gibbs. This week on The Final Straw Radio, I spoke with Mars Goetia. Mars is, among other things, a musician, parent and anarchist who’s been doing a lot of thinking and working around conflict engagement in and around anarchist communities. In this episode, Mars and I speak about about the difficulty of language when engaging in interpersonal conflict, about state repression, expectations and more. In June we aired 2 conversations with members of the Turkish group DAF, Revolutionary Anarchist Action. Among the three voices featured was that of Hüseyin Civan, the managing editor of Mayden Magazine. Hüseyin has been sentenced to 15 months in prison by the Turkish government for Mayden articles in support of Kurdish struggles for autonomy and against state repression in Turkey. This sentencing comes amid a very troubling time in Turkey. Following the Turkish government’s reversal of seeking peace with Kurdish groups in the country’s eastern regions, a failed coup earlier this year, the grab at increasing presidential control and prerogative, non-secular regime of Tayip Erdogan has resumed military incursions into Kurdish communities and purged educational institutions and media of critical voices. They even went so far as to allow Daesh fighters across their border to fight Kurds and anti-capitalists and have launched attacks across the Syrian border into Rojava.